You can’t get blood out of a stone, but Jay Thelen wants to find ways to get more oil from seeds. “We’re specifically working on the metabolic engineering of oil seeds. Broadly, trying to increase the oil content of crops and raise the value of the seed in the process,” said Thelen, a Bond Life Sciences Center researcher. 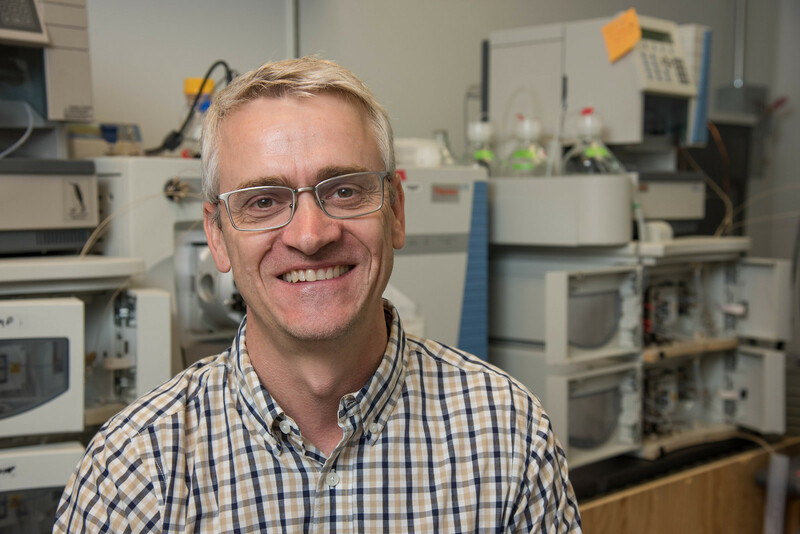 Seed biology and metabolic engineering have long been interests for Thelen, and his lab combines biochemistry with cutting-edge proteomics technology to identify new regulatory modules for key metabolic enzymes. But let’s start with why seed oil is important. Seed oil is big business, enough so that scientists are trying to maximize the amount of oil that seeds produce. It represents an important, renewable source of food and feedstocks, used for everything from salad dressing to combustible fuel. More than 448 million tons of oilseed crops were consumed in 2015-2016, according to USDA Economic Research Service. The oil essentially comes from lipids, or fats, in plant seeds or fruits. All plant cells contain lipids, and embryonic cells within young seeds are poised to make an abundance of them, especially the storage lipid triacylglycerol. While tree nuts can be up to 80 percent oil, most oilseed crops store 15 to 45 percent oil within their seed. Through biotechnology and metabolic engineering scientists want to increased this amount, something Thelen aims to do. 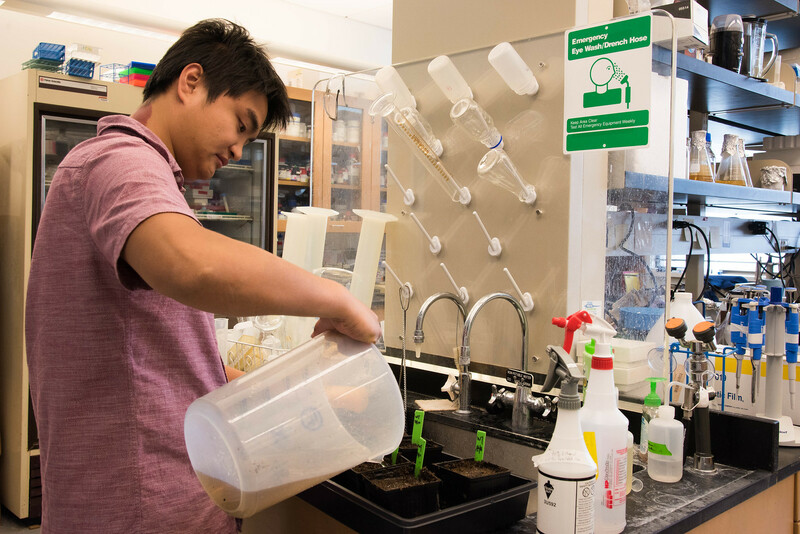 His end goal is to increase the oil in crops such as soybeans and canola, but any biotechnological idea for increasing seed oil starts in the model plant Arabidopsis. 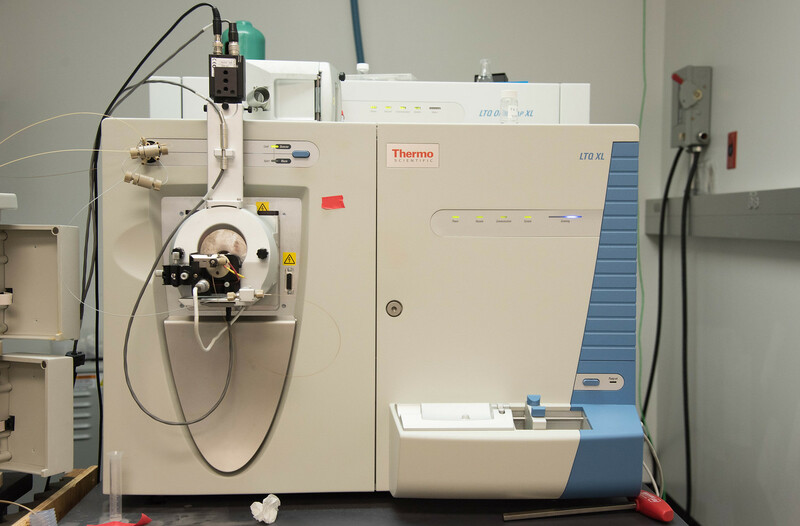 To increase seed oil content, Thelen’s lab works on a large protein complex called Acetyl-CoA carboxylase or ACCase – an enzyme that catalyzes the first step towards oil production. “We made a recent breakthrough on the regulation of this complex,” Thelen said. The proteins critical to this process are called BADC proteins – they are kin to an essential part of ACCase, but are inactive. BADC proteins significantly inhibit the activity of ACCase by mimicking its functional sibling and slowing the complex down. Basically, BADC is a way for the plant to control and slow down the production of fatty acids. By “turning off” the BADC protein, ACCase is de-regulated and oil content in seeds significantly increases. 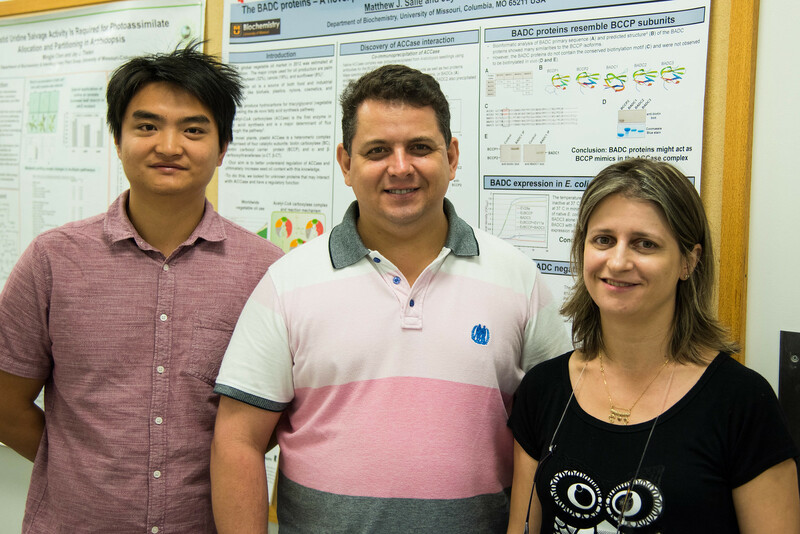 Yajin Ye, a postdoctoral researcher from China in Thelen’s lab, is in the thick of this work. He spends his time modifying seeds to maximize seed oil content and tracking the seed oil measurements in the GC-MS instrument. Arabidopsis seed are much smaller than most people expect, so tiny and light that researchers have to be cautious that they don’t become airborne and cause cross-contamination. 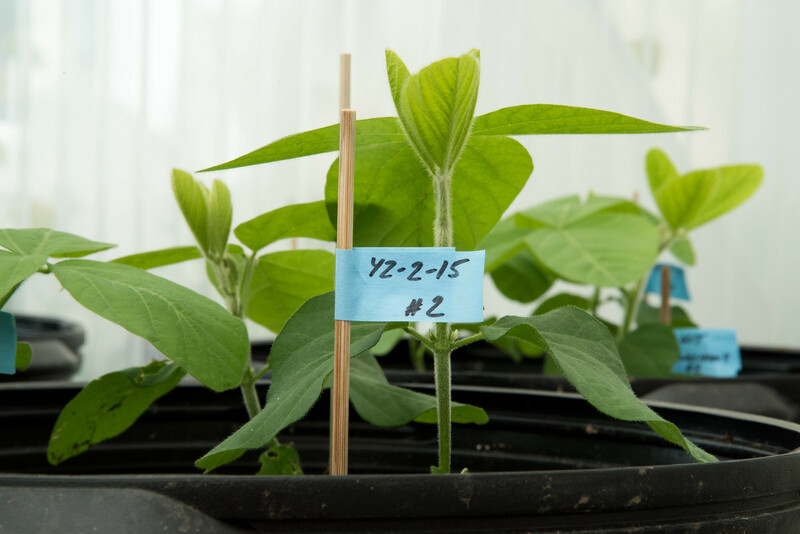 In addition, soybean plants are kept upstairs in a fifth floor greenhouse at Bond LSC. 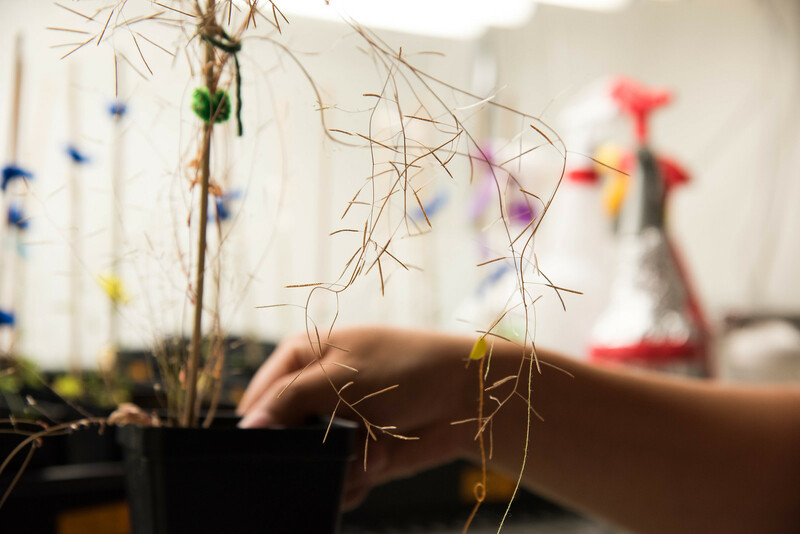 While camelina are grown in growth chambers within Schweitzer Hall as part of a collaboration with Dr. Abraham Koo, an assistant professor in the Biochemistry Department. “Each of the [soybean] plants are transgenic and were screened for higher oil content as a result of BADC gene silencing. The plants are harvested every three or four months so the seed oil content can be monitored,” said Ye. Thelen has begun patenting the BADC technology and another strategy for engineering ACCase to “make it a more efficient enzyme complex.” The BADC technology was co-invented with his previous graduate student, Matthew Salie, who now works as a postdoctoral research associate at the Scripps Research Institute in San Diego. The patent examination process can take years, but if the technology is approved it would mean a huge influx of money in the agricultural market. His innovative approach has gotten the attention of scientists and researchers all around the world. Vanildo Silveria and Claudete Santa Cantarina, two visiting faculty from the State University of Rio De Janerio in Brazil, came to Bond LSC specifically because of Thelen. “Jay is an expert in the field and we wanted to work with him,” said Silveria. At the moment, it seems like his research is on the right track. 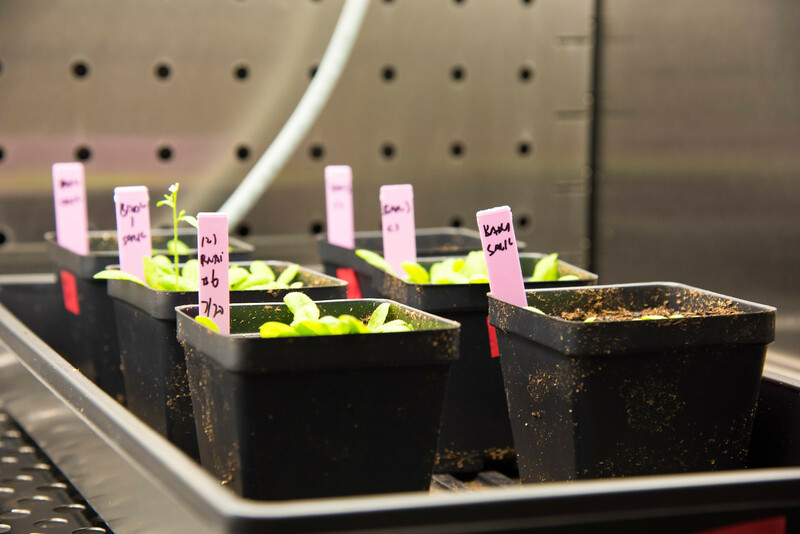 The initial data from Arabidopsis shows that silencing the entire BADC gene family substantially raises seed oil content, which is the main objective of his study. “Preliminary, first-generation transgenics show soybean with higher oil. But these are greenhouse grown. Randomized field trials are still be awhile out,” Thelen said. “We’re getting closer, but still a few years away from that goal. Jay J. Thelen is a professor of biochemistry at MU and a researcher at Bond Life Sciences Center. He received degrees in both biological sciences and biochemistry – a B.S. from the University of Nebraska, Lincoln and a Ph.D from the University of Missouri, Columbia. He was a postdoctoral fellow at Michigan State University and has been at MU since 2002.